- Bright, sunlight-readable 3.5” LCD color display, sized to fit standard 3-1/8” instrument cutout. - Certified via approved model list (AML) for STC’d installation on more than 560 aircraft makes and models. - Includes a 4-hour backup battery with battery status indicator. - Dual G5 installation offers reversionary display capability plus the added redundancy of dual ADAHRS and dual backup batteries. 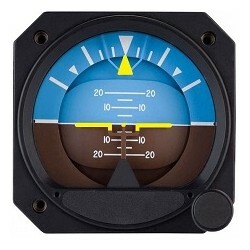 - Designed for installation in FAR Part 23 Class 1 and Class 2 aircraft (singles and twins weighing less than 6,000 lbs), the 3.5” G5 display fits into a standard 3-1/8” round cutout, taking up just a fraction of the space and weight previously required by conventional gyro-based instruments. It’s valid for flight under VFR and IFR conditions. And, by combining visual cues and data readouts once scattered across a myriad of instruments, G5 makes flight information easier to scan — so pilots can respond more quickly and intuitively to any inflight situation. 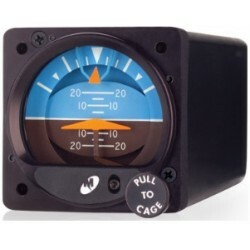 - When configured as a primary attitude indicator, G5 uses solid-state AHRS reference to provide smooth, steady and reliable horizon-based pitch and roll indications. In addition to aircraft attitude, G5 will also support display of airspeed, altitude, vertical speed, slip/skid, turn rate, configurable V-speed references, barometric setting and selected altitude — as well as visual alerts upon arriving at a preselected altitude. A built-in GPS receiver provides highly accurate groundspeed and ground track readouts. Plus, a dedicated rotary knob on the unit allows for easy adjustments to altitude bugs and barometric pressure settings. - Reduce workload and fly with more confidence by pairing G5 with Garmin’s GFC™ 500 digital autopilot. GFC 500 offers silky-smooth flight control and advanced, safety-enhancing capabilities at a cost-effective price never before available on certified aftermarket solutions for light, fixed-wing aircraft. 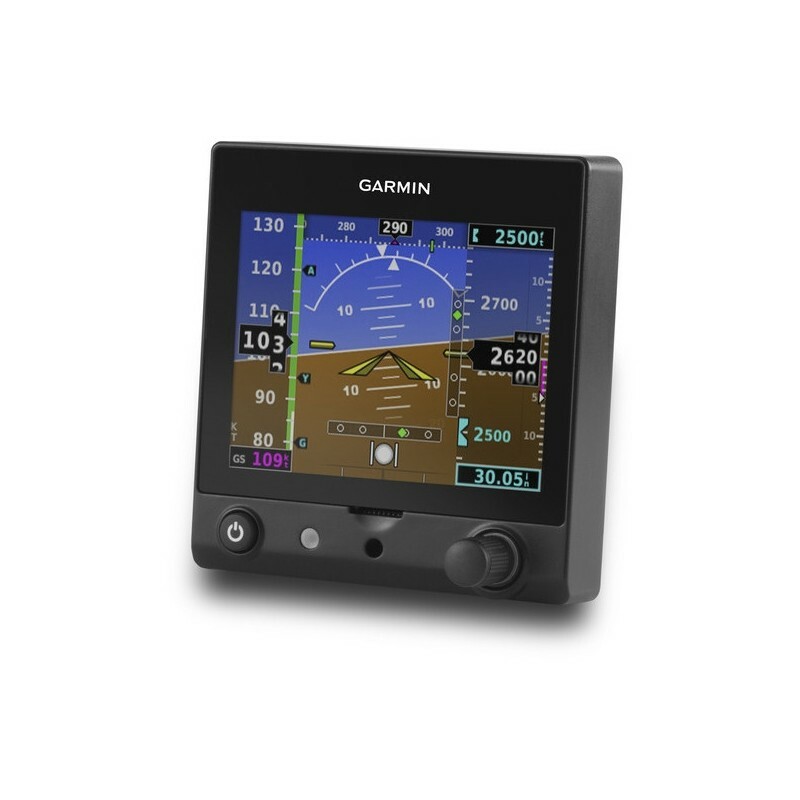 Based on Garmin’s revolutionary GFC 700 installed in thousands of new aircraft, GFC 500 offers Enhanced Stability and Protection, overspeed and underspeed protection and a dedicated LVL button. Plus, it provides the ability to fly coupled GPS and IFR approaches with compatible Garmin navigators and Nav/Comms as well as an optional go-around switch and automatic and manual electric trim. 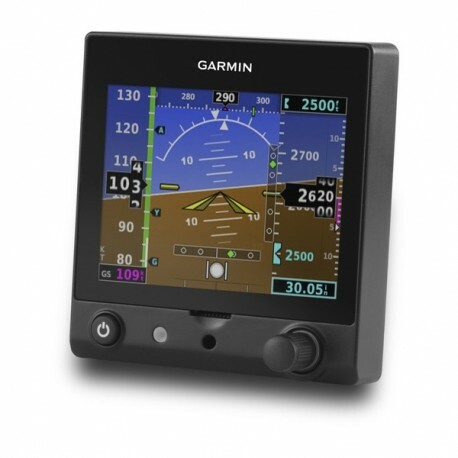 As part of the GFC 500 system, G5 provides input and display of attitude preselect, heading bug, vertical speed bug, airspeed target and flight director command bars, while a dedicated GMC 507 autopilot controller provides large dedicated keys, knobs and control wheel for mode, altitude, heading and vertical speed selection. - By installing dual G5 displays in your panel, you not only gain dedicated instruments for attitude reference and directional gyro/HSI guidance, but you also gain the advantages of backup redundancy with dual ADAHRS and reversionary display capability. 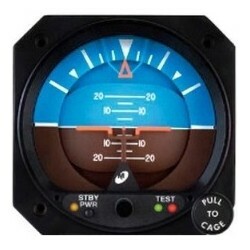 In such installations, a secondary G5 can revert to display attitude information (consolidated with heading indication) in the unlikely event of a failure in the primary attitude indicator position. For added “get home” protection, each G5 display is available with a backup lithium-ion battery, which can provide up to 4 hours of emergency operation in case of an aircraft electrical outage or shutdown. - With supplemental type certification (STC) provided under an AML covering hundreds of certificated GA aircraft models, a G5 upgrade for your cockpit offers maximum capability and value for minimal downtime, paperwork and expense. You can select from an array of approved installation configurations incorporating single or dual G5 displays. And no matter which installation you choose, you’ll be flying with the peace of mind that comes with industry-leading Garmin warranty backed by Garmin’s No. 1-ranked product support team. See an authorized Garmin installation center for more details on the G5 glass upgrade for your aircraft. - STC only approves the G5 as a primary replacement for attitude display or a turn coordinator. - Unit must be installed by an A&P mechanic. Installation approval is accomplished via supplemental type certificate (STC) with a comprehensive approved model list (AML) containing 562 aircraft models. The STC also includes interface approval to many common GPS antennas if an approved GPS output is not available in the aircraft. The STC permission letter will be granted for each aircraft in which the G5 for certificated aircraft is installed. To retrieve this STC letter, dealers will need to redeem the single-use registration code included in the standard kit by following the steps outlined on an information card. - Requires certified WAAS GPS source, which can be fed via a GTN 750 / 650 series units. If no certified GPS source is installed in aircraft, you are required to install a GA 35 antenna for the WAAS GPS source. - Unit comes locked in Attitude Indicator screen. It cannot display HSI page . - Note: G5 Certified cannot display millibar pressure settings .